It has been a season of impressive stats for Conner and Saturday’s quarterfinal performance against Springfield-Delco (Pa.) adds to the list. 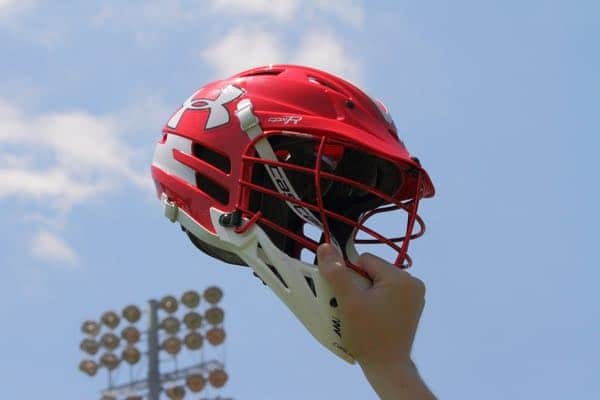 The Virginia commit scored three goals, but with the game on the line, he scored an insurance goal to lead his team to a 12-9 win and put his team in the PIAA 2A semifinals. 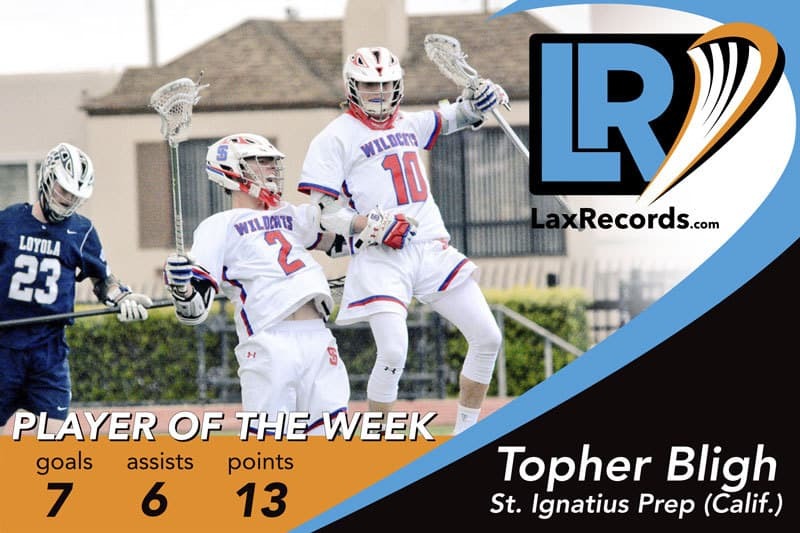 Conner started the week with an eight-point game against Trinity (Pa.) in the first round of the playoffs. 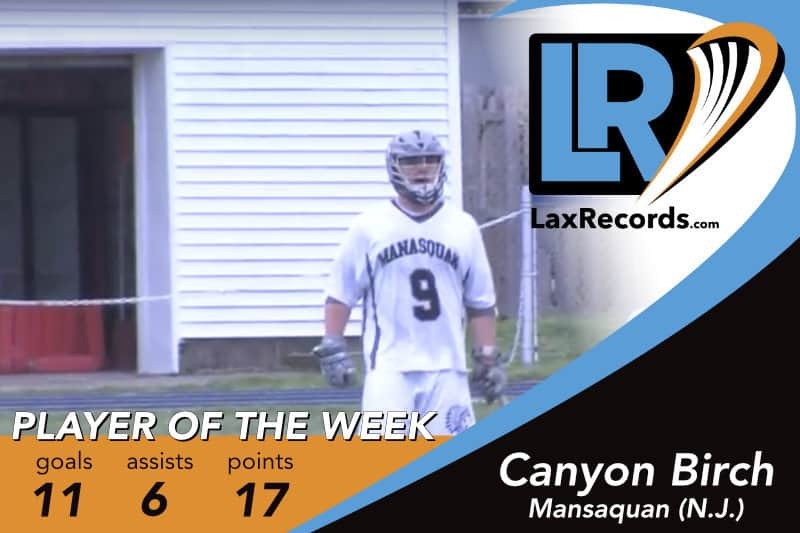 He scored four goals and four assists in the 19-5 win. The senior is having the best year of his career. Through 22 games he has 147 points, which is already 17 more than his previous career high. He is averaging almost seven points per game this season. 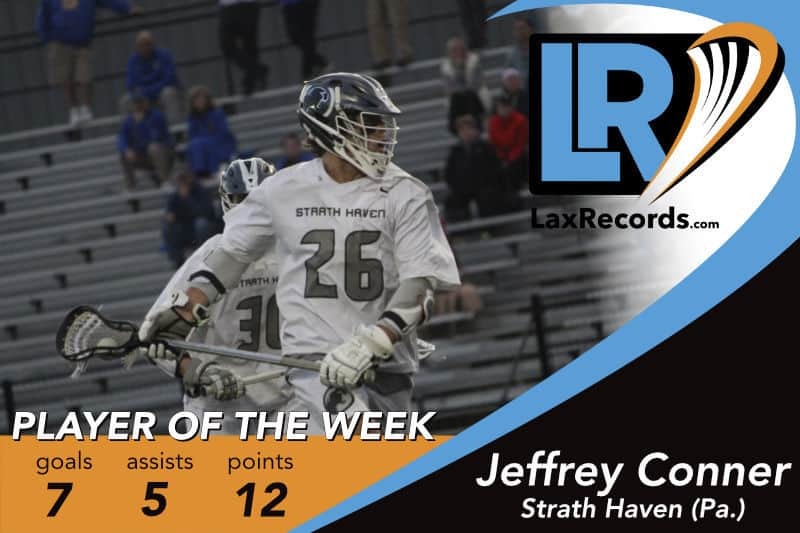 Earlier this season, Conner scored the 300th point Strath Haven (Pa.) Senior Reaches 300 in Today’s Stylax Stat Leaders Update) of his career. That was April. Atlas scored two goals, including the game-winner with 7.4 seconds left to lead Islip to its first-ever Long Island Championship. 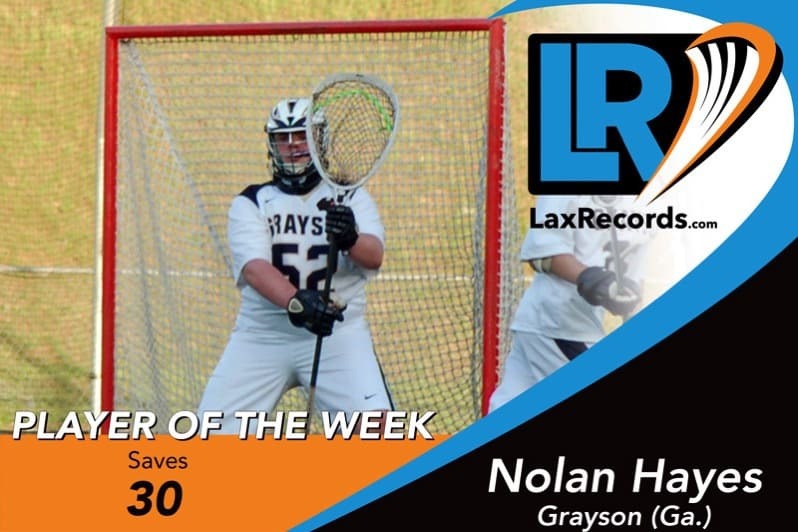 Atlas also had an assist as the Buccaneers defeated Cold Spring Harbor (N.Y.) 8-7. Atlas scored two goals and one assist in the semifinal against Mount Sinai (N.Y.). 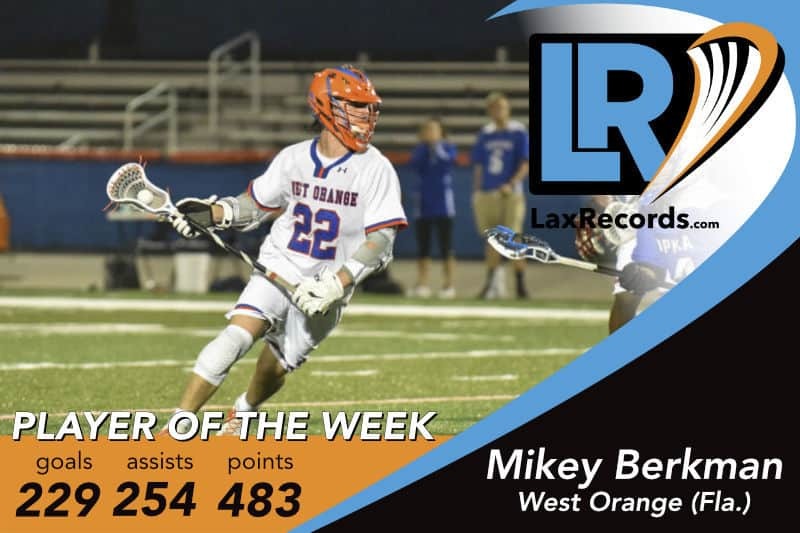 The senior went out with style, scoring six goals in the final two game of his career to lead the Ramblers to the inaugural Illinois High School Association championship. 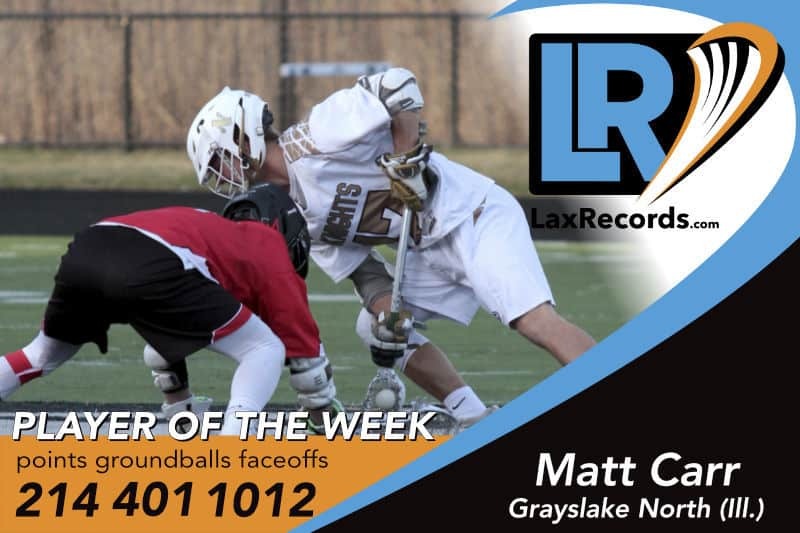 In the semifinal, Callahan scored three goals in the 15-7 win over Naperville North (Ill.). Then, in the championship game against New Trier (Ill.), the senior scored three more goals in the 7-2 victory. This is the first year lacrosse is a state-sanctioned sport in Illinois. 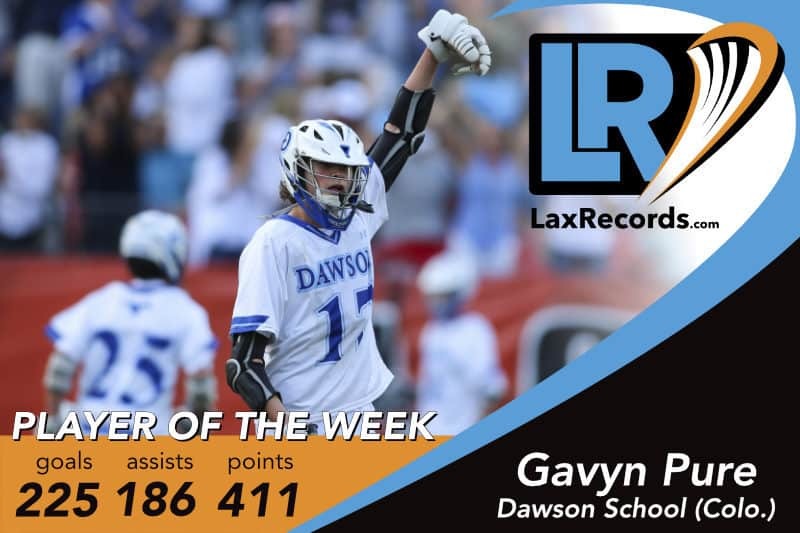 Garrity, along with teammate Layton Harrell, led the Nighthawks in scoring with five goals in a 14-10 win over Cheshire (Conn.) in the first round of the Class L tournament. Garrity’s goal in the fourth quarter extended the lead to 11-9, giving Newtown their first multi-goal lead of the game, according to the Newtown Bee. Glavin dished out nine assists and scored a goal in Mountain Lakes’ 16-7 win over Manasquan (N.J.) in the Group 1 championship game. The junior followed that up with three goals and three assists in a 14-9 win over Pingry (N.J.) in the Tournament of Champions first round. Glavin has 100 points entering the Tournament of Champions semifinal against Summit (N.J.). Grandolfo led all scorers with three goals and three assists to lead Fairfield Prep to an 11-10 overtime victory against Staples (Conn.) in the first round of the CIAC Class L tournament. The junior was coming off a three-goal game against Cheshire (Conn.) in the SCC championship game. 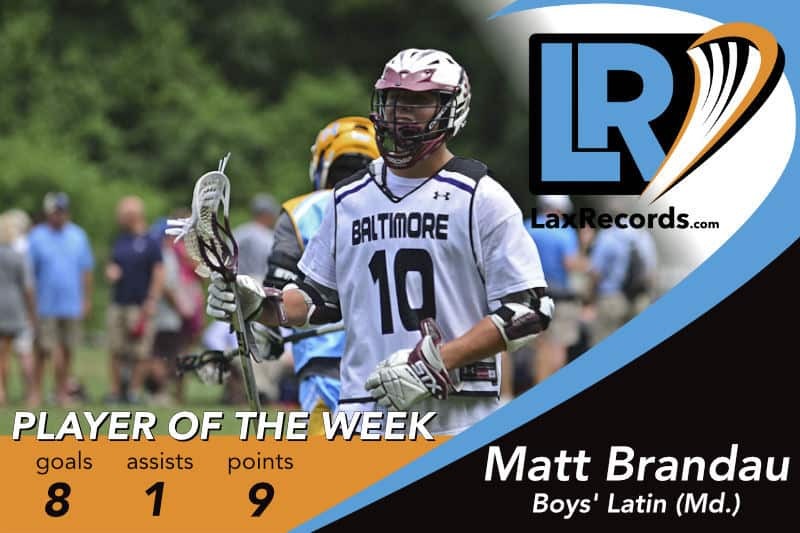 He added two goals and two assists in a 9-7 loss to New Canaan (Conn.) in the quarterfinal matchup. Harrell scored five goals in Newtown’s win over Cheshire last week. 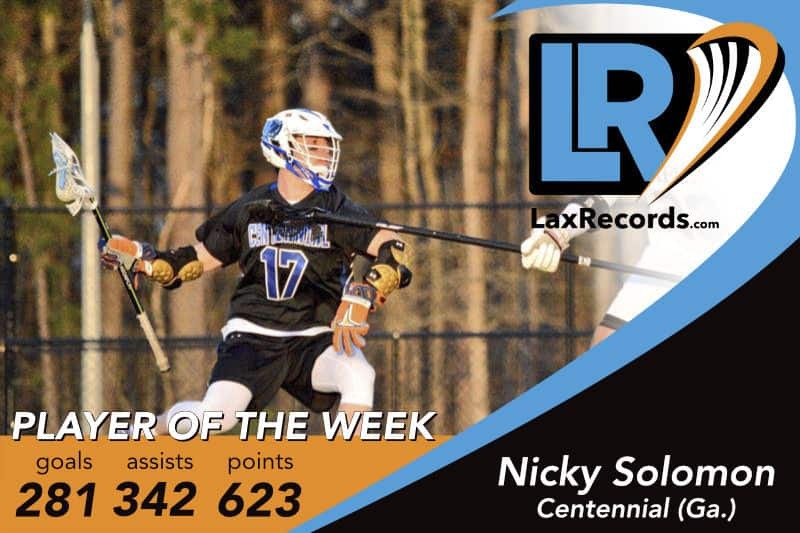 His fourth goal of the game broke a 9-9 tie in the fourth quarter to help get the Nighthawks rolling. The senior had back-to-back four-goal, two-assist games to lead Bishop Shanahan to its first PIAA state semifinal in program history. 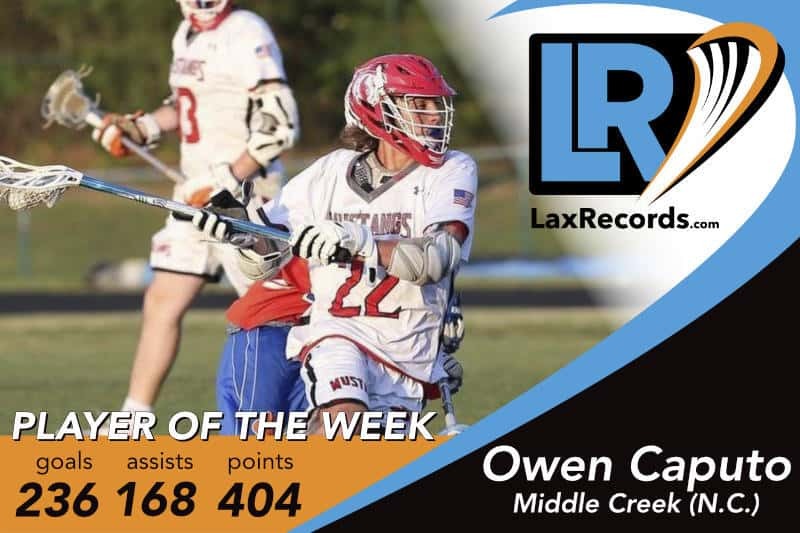 Heisman scored four and two in an 18-4 win over South Western (Pa.) in the first round. 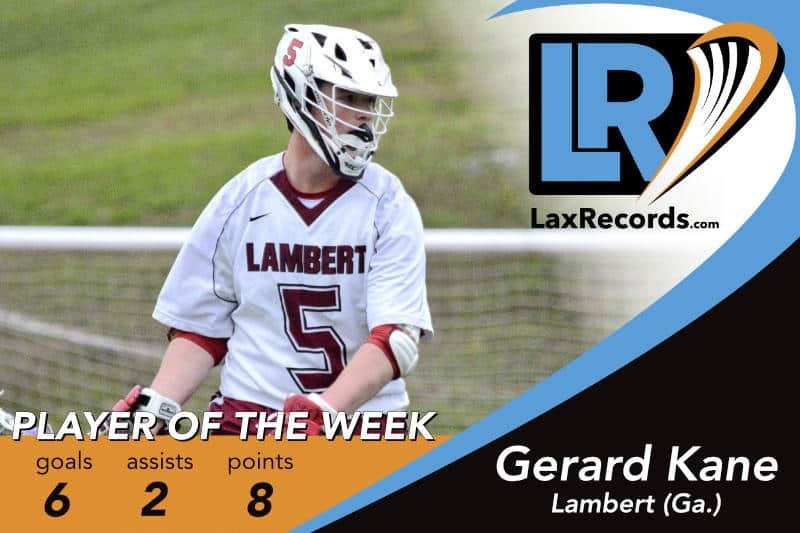 He followed that up with another 4/2 game in a 13-7 win over Allentown Central Catholic (Pa.) on Saturday. Jacoby scored four goals, including back-to-back in the third quarter, to lead Battlefield to a 13-10 win over Battlefield (Va.) in the quarterfinals of the Virginia Class 6 tournament. Hake led the scoring for York Catholic in the first round of the PIAA AA tournament. 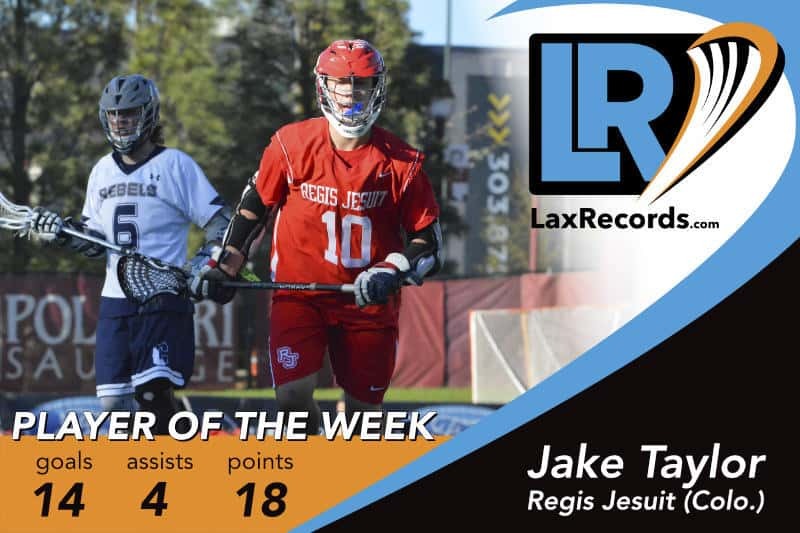 Hake scored seven goals and three assists in a 22-16 win over Archbishop Carroll (Pa.). 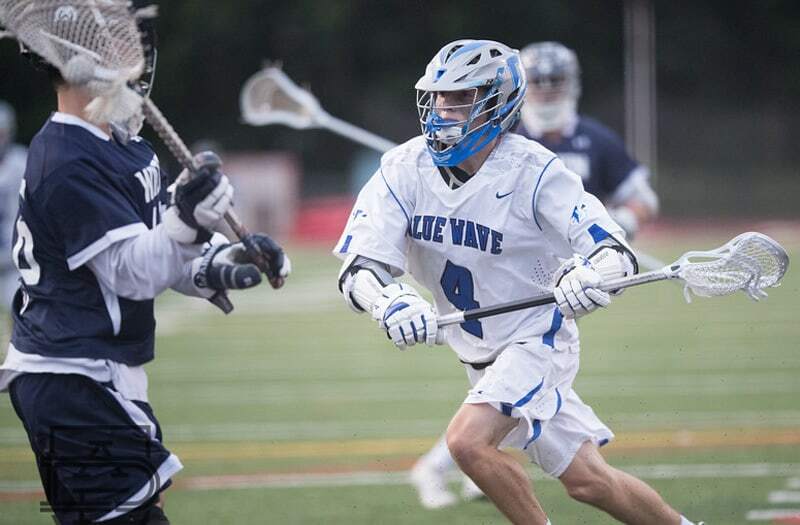 James scored four goals and two assists to help lead his team to its first state championship. Watchung Hills defeated Lenape 10-3 in the New Jersey Group 4 championship. James has 31 goals on the season. Manges scored three of the Rams nine goals in a 9-7 win over Fairfield Prep in the CIAC Class L quarterfinals. 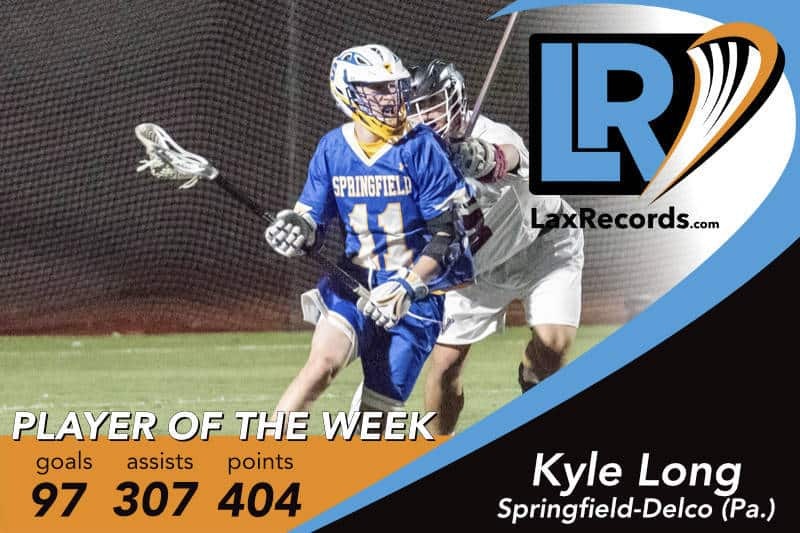 He scored a goal and an assist in the team’s first-round, 17-3, win over Fairfield Ludlowe (Conn.). McGovern led all scorers as Darien survived an upset bid from Wilton (Conn.) in the CIAC Class L quarterfinals last week. 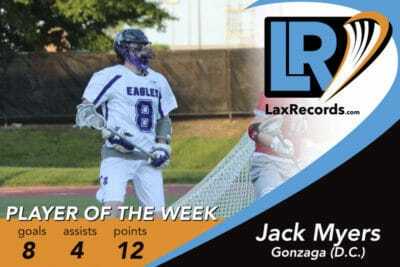 McGovern scored three goals and two assists in the 11-10 victory. 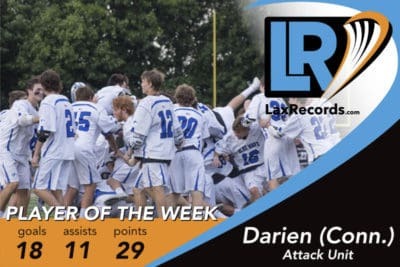 The win was Darien’s 75th consecutive. 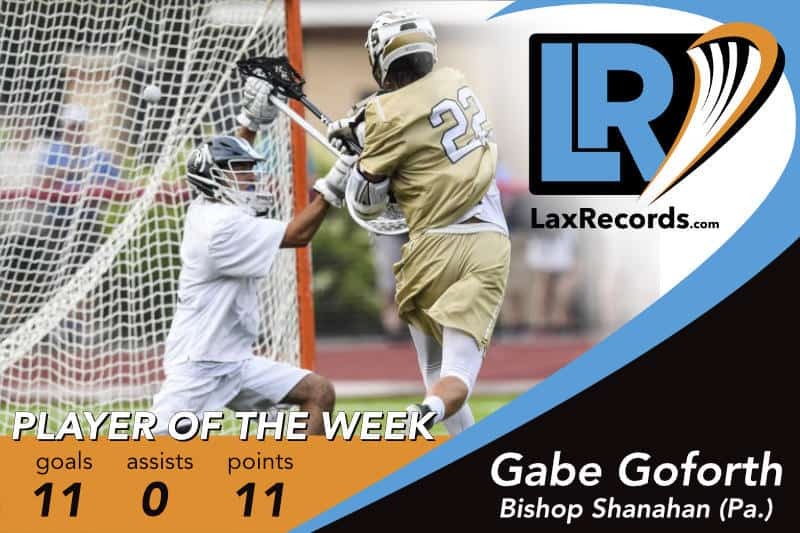 The faceoff man was an impressive 28-for-32 in his team’s first-round win over Archbishop Carroll. Snelbaker also scored three goals in the victory. The win was the first time a Y-A team won a game in the Pennsylvania state tournament, according to the York Dispatch.